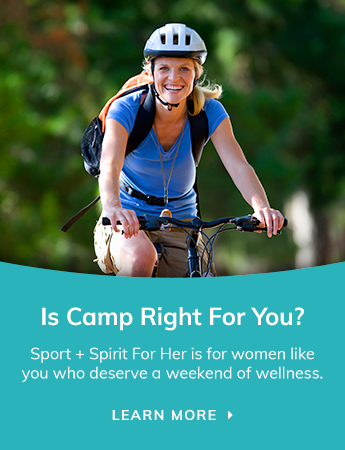 At Sport + Spirit for Her, we offer Kundalini Yoga to awaken your awareness and take you into your original self. Kundalini means awareness. Kundalini Yoga is the supreme technology to awaken your awareness and take you into your original Self. An uplifting blend of spiritual and physical practices, Kundalini Yoga incorporates movement, dynamic breathing techniques, meditation and the chanting of mantras. With over 4000 different kriyas (exercise sets) every class is different. Come experience this amazing supreme yoga technology – your whole being will be buzzing with spiritual awareness, vitality and joy! Awaken to your true identity. It is with such gratitude and love that we share with you the blessings of this sacred practice and look forward to bearing witness to the power of your light, love and self-compassion as we journey through a process of turning inward to listen and learn from the wisdom of the soul. Kamal Daya and Bani Simran are co-founders of Suniai and co-teach Kundalini Yoga classes and workshops in Toronto and Markham. “Suniai” means listening, truly listening, going deep within your heart to listen to the vibration of the Universe. Kamal Daya is a KRI certified Kundalini Yoga teacher. She brings with her a diverse background. Trained also as a Master’s level Clinical Social Worker and Art Therapist, Kamal Daya has dedicated her life to the service of others. Her spiritual name Kamal Daya means someone who experiences the purity of the lotus flower through the power of her kindness and compassion. She holds both of these virtues close to her heart and recognizes that it is through our states of love, kindness and compassion that we can heal each other and the world. We are all our own healers and we each have the power to transform our lives into a state of all-encompassing joy, love and bliss. Michelle Bani Simran is a KRI Certified Kundalini Yoga teacher, Natural Health Practitioner and long-time energy healer with a private practice in Markham. With a passion for holistic health and yogic teachings, Bani provides an integrated approach to healing through yoga, aromatherapy, visualization and energy work. “Balance has always been my philosophy to life. When you work from this neutral space anything is possible".